Former Luton Town star Jake Howells has moved to National League South side Billericay Town. 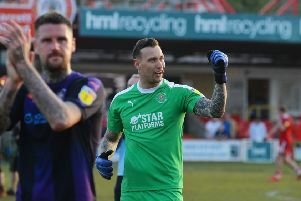 The 27-year-old racked up 334 games for the Hatters after coming through the youth ranks at Kenilworth Road, scoring 31 goals in that time, as he sits 16th in the club's all-time appearance list. After leaving Town in May 2016, he went to Eastleigh and then linked up with ex-Luton boss John Still at Dagenham & Redbridge, featuring 41 times last season. However, he departed the financially stricken Daggers at the end of the campaign and has now moved to Billericay, tweeting: "Delighted to have signed for @BTFC for two years! "Can’t wait to get started and help the club on this journey it’s on."